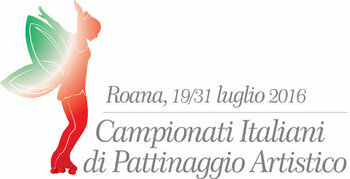 From 19 to July 31, 2016, Roana will host the Italian Championships in Figure skating. In particular, the first week, from 19 to 24 October, will be dedicated to the Italian Championship Cadetti and Jeunesse, artistic pairs and dance couples, while the second week, that from July 26 to 31, will see the skaters competing in the Italian Championship juniors and seniors for free, artistic ecoppie couples dance and Solo Dance International. Performances will be held at the Pala Robaan di Roana (via Laghetto, 51-Roana) and will be for FREE ADMISSION. It will be exciting to see the skaters dance on skates, challenging each other with pirouettes, stunts and sensational passages. "With the Italian Championship will Roana the best roller skating -explains Angel Roffo, plant operator- with the help of society will accommodate all federal categories Apam Maser; for fifteen days the plateau will be the home of the best atleti azzurri. "